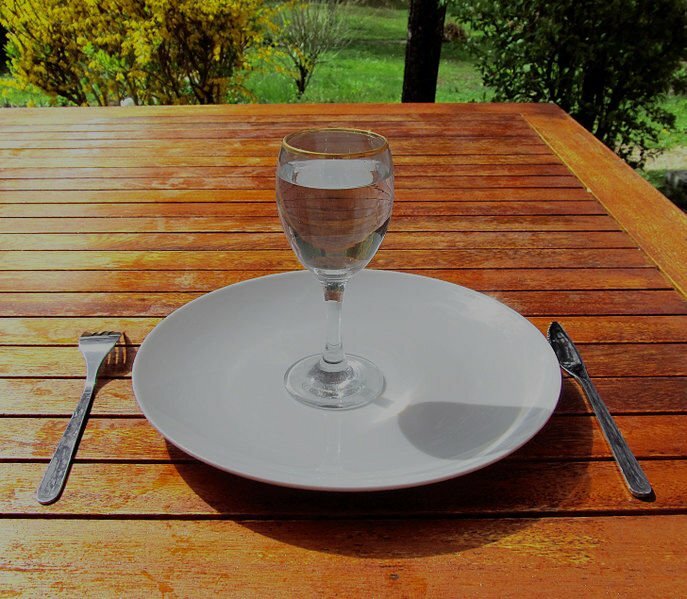 Fasting in a cleansing technique. Though it is not a part of shatkarma, it does include certain techniques from these cleansing techniques to maximise the benefits of fasting. Fast, especially one day(24-hour) water fasts is one slowly gaining prominence as a way to maintain health. Breaking our food cycle, when properly done, gives break to our digestive system & allows our body it clean and heal itself. The principle of proper food in yoga dictates that there is a balance between nourishment & cleansing. When we eat proper food, it nourishes our body. After, digestion, the waste product and undigested food (& toxins) need to be cleansed out of our system. Our excretory system takes care of that. But, it also needs a break once in a while to be able to rest heal itself. Like a deep relaxed sleep at night. A regular practice of a fasting can improve digestive efficiency, increase mental clarity, increase physical and mental vigour. A well kept fast remove toxins and give a general feeling of well being. A 24-hour fast, once a week, is also a common religious practice in many communities. This practice started on the belief that when you fast, it makes your mind calm, which is better for spiritual practice. This is an additional, personal choice. Fasting in itself doesn’t require you to focus on anything other than your health. Very young, very old, or very weak & pregnant ladies should not undertake fasting. Also, if someone has a diagnosed illness and is under a doctor’s care, they should not undertake fasting on their own. If you are in doubt, then consult your physician, explain which fasting you are planning for and take their advice on how to proceed. Not every kind of fast is suitable for everyone. You should choose a fast, which is appropriate for your body type, health & practice. Though long-term benefits of all types of fast are same, the choice of fast is also dependent on the goals you are working for. And as Yogic practices are based on moderation and progress, it always good idea to start with small steps & then progressing from there. This is especially true if you are doing it on your own. Fasting under experienced supervision takes care of planning as part of system itself. Let’s know about these types one by one. In fruit fast, you simply replace each meal with fresh fruit (and additionally warm lemon-honey water). The most common and doable time frame is doing it for a day (24 hours). This is a strong fast. This fast is one of most common method of fasting recommended to someone working to cleanse their digestive tract. 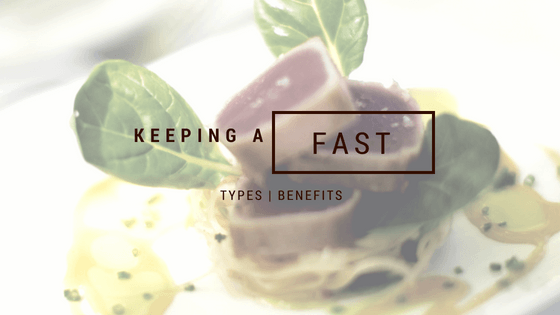 As compared to other types of fasting, fruit fast has the benefit of providing you two things: Fibres from the fruits and some nutrients which can help you cope the break from normal food. The fibres from the fruits, along with sufficient liquid, helps in cleaning your food pipe as well as intestines. This fast is kind of step up from fruit fasting. Here, you only have water throughout the day. This can be little harsh when you are doing it for the first time. So, you should choose a day which is not in extremes, as in, neither too much physical activity nor too much sitting involved. In both the extremes, the desire to eat is more than usual. Choose a fairly light, relaxed day. Keep a water bottle with you and proactively sip water whenever you can throughout the day. The best thing is to have two glasses of water as soon as you freshen up in the morning and then take it from there. There is no restriction on how much you can drink all day. There is no need to add anything to the water. Simple pure water is good enough. If it is not summers, then lukewarm water is considered best as it matches internal temperature of the body. It is good idea to avoid tea/coffee and other similar drinks too. There is a chance that you will have slight headache due to lack of normal food stimulant. Just have little water and relax for sometime. This reaction is quite and no need to be perturbed by these. This is a step up from one-day version. This is advised only for those are physically healthy and have done one day fasting at least couple of time and want to increase the practice. As this fast is spread over three days, this fast works on cleaning out your body on deeper level. Nothing much in way to additional benefits. One thing you need to be careful about it is that Yoga is the path of moderation. Fasting also should be done in moderation with regards to the number of days. Hence, it is recommended to practice three-day water fast once in a while. Better will be to practice it when you have span of stress-free relaxed days as well as you can use the time for gentle practice too. This method is basically sensible eating plans followed in ashrams. Two meals a day with dinner around 6-7 PM. Lots of water in the day. Then fast from solid food for a period of 12 to 14 hours. Breakfast preferably soon after morning practice or by 9 AM. This means no eating before bed and no midnight snacks! Moreover, it is suggested that you take a walk after dinner. In this process, the digestive system can then switch from digesting your food to cleansing the body naturally while you sleep. In Yogic terms, the digestive fire (Jatharagini) is what helps in digesting our food. This same fire that is responsible for digestion is also responsible for cleansing.